The Falcon USB Flash Drive will look great with your logo branded on the front! The Falcon USB is a popular technology promotional product, so we have introduced a new hot special. Have your logo printed onto a Falcon USB and receive a fast turnaround time! We have a low minimum order of 100x printed USBs with your logo printed. The Falcon USB features an Aluminium swivel rubber body USB Flash. It is a durable USB with a metal casing design. USBs are a popular promotional product for 2018 and the Falcon USB is a USB we recommend. 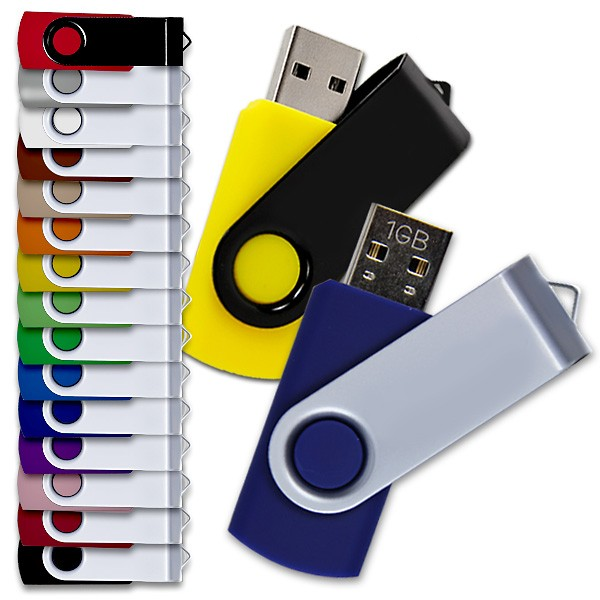 USBs are a great promotional giveaway that are cheap, yet useful for your clients. Goodgear supply printed USB sticks local across the Central Coast, Newcastle and Sydney regions. We also supply custom printed USBs Melbourne, printed USBs Brisbane, branded USBs to Adelaide, USBs printed with your logo to Perth, laser engraved USBs to Canberra ACT - and everywhere else in between Australia wide! Goodgear supply promotional products with your logo printed for all industries and events. We also supply custom made uniforms for corporate and business uniforms, sport club uniforms, school uniforms, and hi-vis safety workwear. Contact Goodgear to request a quote today!